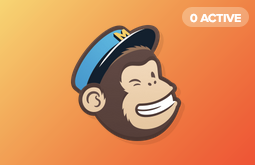 First things first: If you haven’t already been approved to use MailChimp, you’ll have to request permission from our Customer Success Team via email or chat (the bubble icon at the bottom right corner of your screen). Before submitting your request, make sure that your user profile contains a valid mailing address and contact phone number, and don’t forget to double check your time zone. Why’s approval necessary? Because of a little thing called compliance. You can read more here. Once your account has been approved, you can get started. 2. Click the Connect now button. 3. Log in using your MailChimp username and password. 4. After you’re connected, select your confirmation option. You can choose between Free Confirmation Notification, which simply sends a subscription confirmation, and Double Opt-In, which requires the subscriber to reply with their confirmation. 5. Click the green Add new sync button in the upper left. 6. Select the SimpleTexting and MailChimp lists you’d like to sync. Make sure you map your MailChimp fields (right column) to the appropriate fields in SimpleTexting (left column).